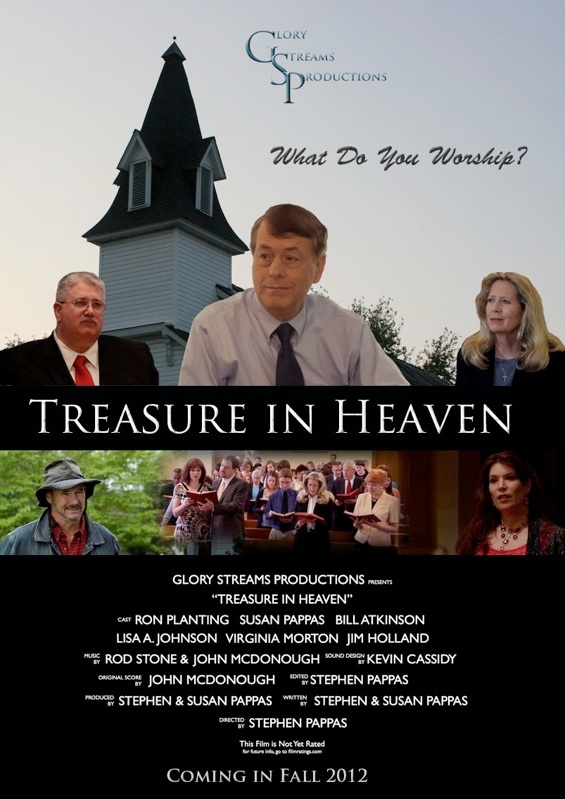 On Saturday, November 10, 2012, members of the cast and crew of the locally-produced, faith-based film Treasure in Heaven attended the film’s premiere at Cobb Theater in Leesburg, Virginia. The film’s story revolves around a pastor (Ron Planting) who struggles to get himself and his congregation back on the right path. The film stars two members of NoVA Christian Film — Planting and Lisa Johnson. It was shot at Round Hill United Methodist Church in Round Hill, Virginia, as well as other locations in and around Leesburg, Virginia. This is the first feature-length film produced by Glory Streams Productions. Treasure in Heaven will be available on DVD in November 2012.